You’re new to Seattle Opera...welcome! But this performance is not your U.S. debut. 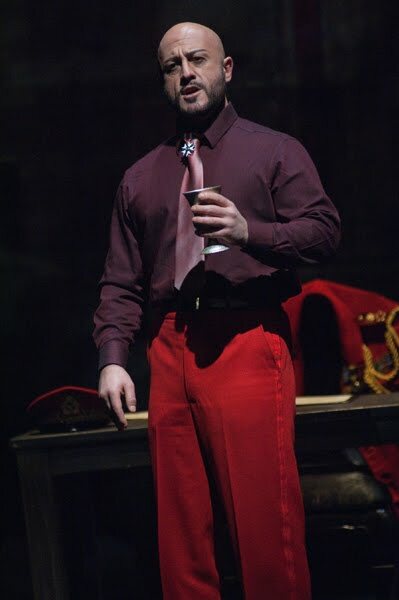 No, I sang in the U.S. for the first time in 2001 in Philadelphia, it was Escamillo in Carmen. My first and only Escamillo. I’ve sung some bass-baritone roles: Scarpia, Iago. 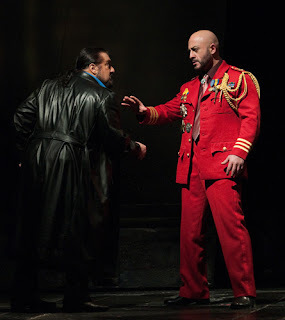 My second appearance in the U.S. was a couple of years ago, Iago, in San Francisco with Nicola Luisotti. And I sang Amonasro there, as well. 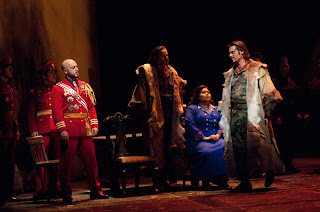 After this production in Seattle, I will go to San Francisco to sing Rigoletto, my first time with that role. In La Spezia. I live there now, in a beautiful little village nearby, Vezzano Ligure. La Spezia, wonderful! That’s where Wagner had the famous “Vision of La Spezia,” when he dreamed he was drowning in an overwhelming Eb major chord. Or at least that’s what he said, the inspiration for the opening of Das Rheingold. Yeah, I don’t know if it’s true! La Spezia was a spa, in those days…? There used to be a great opera theater, with many important singers, Di Stefano, Callas, Tebaldi, Del Monaco. But it was destroyed…today there’s a cinema. The town is near Genoa, is that right? About 100 kilometers from Genoa. A bit farther to Florence. What’s your favorite place to sing in Italy? La Scala, I sang Attila there last summer and Tosca this year. Do you sing at other theaters in Italy? I haven’t sung in Naples or Sicily, but I sang Tosca in Bari at Teatro Petruzzelli; and in Reggio Calabria. …and Ana Lucrecia García, our Odabella, who sang it with you at La Scala, is going down there for the role. But you’re not doing it there. No, after this I have Un ballo in maschera in Dresden, and later Tosca in Valencia, then Vienna, La Scala, and Bari. So this will be your last Ezio for a while, then? So let's talk about the La Scala production. In America, you’ve basically got a clean slate, because most audiences have never heard Attila. At La Scala, did you find that everybody in the audience knew the opera? No, it was the same in Italy, it’d been twenty-some years since they had played Attila at La Scala. People were extremely excited about it, there was great anticipation. The singers, we were all scared. You know, La Scala is a difficult theater! 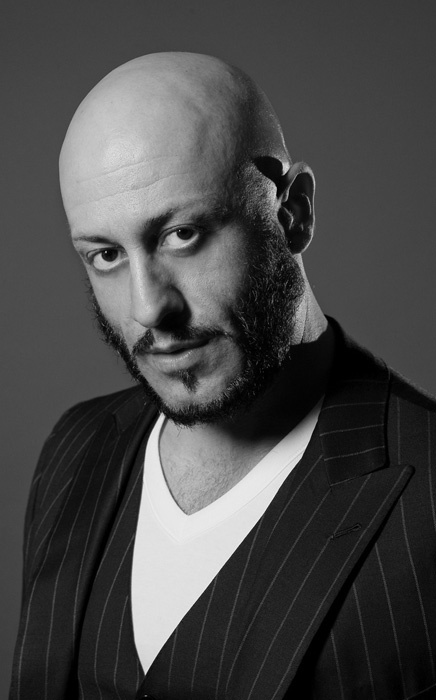 It was directed by Gabriele Lavia, a great actor and film director. It was beautiful, very powerful, an important production. Luisotti was the conductor. The audiences were very happy. All the singers were nervous at the premiere, there was a lot of tension backstage, but the hard work we’d done in rehearsal paid off, it was considered a very intense, sophisticated, detailed production. 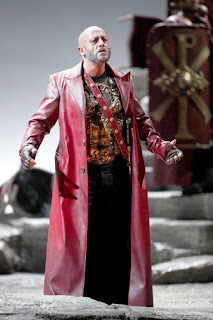 It was important for all concerned, because after all it’s Verdi at La Scala. Verdi matured as an artist there, he’s part of that institution. I promise opening night in Seattle won’t be that tense! Oh, but there’s always tension, in every theater in the world! There isn’t a theater anywhere where you’re allowed to do less than your very best. Yes, at La Scala there are people in the audience who sit in judgement, they’re there every night, they’ve heard thousands of voices, they know the libretti word for word. So that’s a different kind of tension. But it comes down to putting strength and energy into the preparation, and that’s the same everywhere. Do you think non-Italians can care as much about this opera as Italians do? Yes, there’s what you can only call the Italianità of this opera. It is pure. That’s a very important phrase. Cappuccilli was wonderful there. Now there’s an interesting thing about that line and that scene—to many of us, Ezio doesn’t seem very heroic, because he comes onstage and, almost the first thing out of his mouth, he offers to betray Rome, the Roman emperor Valentinian, whose ambassador he is. The problem is his duplicity. There’s a compromise. And Attila refuses to accept compromise. So Ezio has no choice, it’s war. And he’s done everything possible to save his country. But that behavior is normal, no? For a brave military person like that. I like my cabaletta, “È gettata la mia sorte,” a lot. The aria is very nice, but the feeling in the cabaletta is heroic and powerful. Have you worked with any members of our Seattle cast before? With Carlo Montanaro, the conductor, we’ve done Un ballo in maschera together in Dresden, we do it again in February. And I sang Nabucco with Ana Lucrecia García in Arena di Verona this summer, she was Abigaille. So in that one you got to sing a duet with her. She is an amazing singer, yes. This is the first time I’ve worked with John Relyea, who is fantastic. And Antonello Palombi, we sang together in Nabucco at the Baths of Caracalla, in Rome, and also L’amore dei tre re, a marvelous opera by Montemezzi. That’s another opera we never hear in America. This was in Torino, a very beautiful production. The problem is it’s very difficult, it’s hard to find the singers who can perform it. 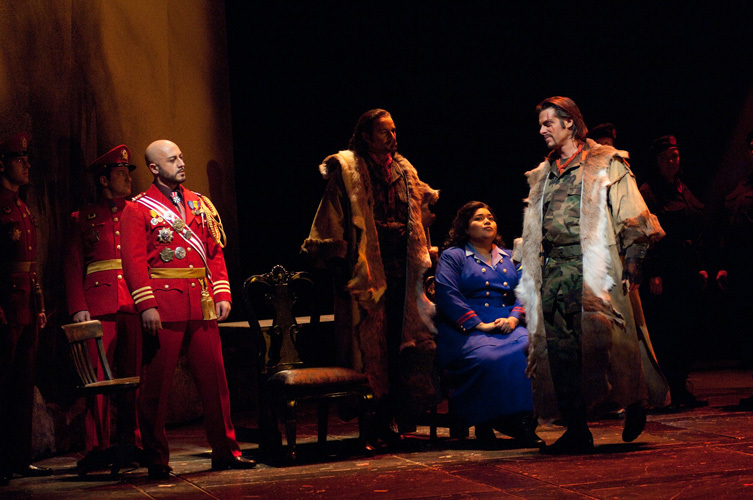 One last question: as a Verdi baritone, which is your favorite Verdi opera? It sounds like you’re excited about singing your first Rigoletto in San Francisco this year. Yes, I’ve been waiting all my career to sing Rigoletto. You have to be mature to do it. I think Rigoletto has all the other Verdi operas inside it. My first opera, back in 2000, was Stiffelio, my second was Simon Boccanegra (as Paolo), and my third was Nabucco. I’ve sung Di Luna many times, Amonasro, I masnadieri, Luisa Miller, many Verdi operas. I love Rigoletto, but also Simon Boccanegra, Macbeth, Nabucco. I don’t have one favorite opera, I have a lot of favorite operas. And nail it he did! We also enjoyed the cavatina, "Dagli immortale vertici". In the Q&A, Max said it reminded him of another aria. Nobody could place it, but now I'm thinking maybe Manrico's "Ah, si, ben mio" from Trovatore, part 3, scene 2?